The health and condition of your skin is something that people will use to judge your age and level of attractiveness throughout the course of your life. Look after it well, and you will be rewarded with a younger looking face. Look after it poorly, and you will look old beyond your years. 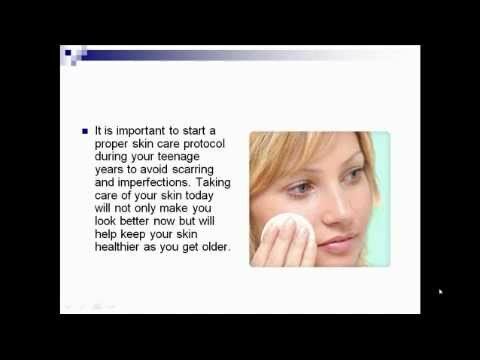 Although there are now many different products and treatments available to help reverse the signs of aging, the best way to look after your skin is to prevent the damage that can cause premature aging, and the only way that you can do this, is by understanding how the skin changes as a person ages so that you can properly care for it and protect it for the stage of life that you are in. In this article, we are going to be looking at several different types of skins by focusing on the age groups of baby, child, teenager, 20-30, 30-40 and 50 plus. 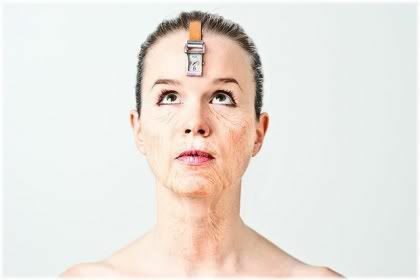 As you shall soon see, each age group faces unique changes and challenges to their skin, which will influence how a person looks after it and what they can do to maintain a youthful looking appearance for longer. Knowing how your body changes over time can help you prepare for and minimize the effects of aging. If you fall into any age group below 50, then it is recommended that you also read the section on the age group above you. This will help to prepare you for the next decade of your life, and also motivate you to take the best care of your facial skin today so that you can look your best for the years to come. Note: There will be some overlap in the recommendations for each of the different age groups, so rather than repeating the same thing, each age group will contain new recommendations only that build upon the previous age group. This means that you are likely to gain benefit from reading other age groups rather than just your own. Right, so let’s get started straight away by looking at how to care for a baby and child’s skin. Healthy baby and child skin appears soft, smooth and moist to the touch. At this young age, collagen and elastin are at their optimal levels which makes the skin very resilient to damage and quick to repair itself from any cuts or bruises. 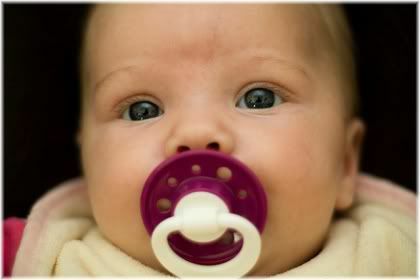 A baby has smooth, soft and healthy skin, but it still needs to be cared for just like anyone else’s skin. As a parent, this stage of life is crucial, because babies are unable to look after their skin and young children are unlikely to think about the long-term effects not looking after their skin can have. This means that it is your responsible to look after your child’s skin to the best of your ability. For this reason, a parent should try to develop good skincare habits in their child as soon as possible, because if these habits can be developed early in life, then they are likely to continue later on in life. 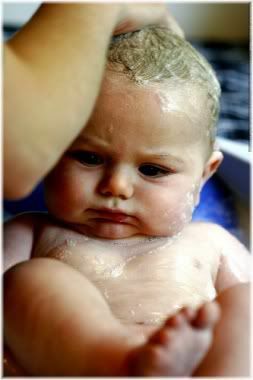 A baby or child’s face only needs to be washed once a day, ideally at night with a soap free and fragrance free cleanser. Remember, anything that you put on your child’s skin could potentially be absorbed into the body. If you teach a child to look after their skin, they will be more likely to look after it when they are older. As a result, you want to ensure that any type of skin care product which you use on your child contains as few ingredients as possible or uses all natural ingredients. Babies especially tend to have very sensitive skin, so look out for products which have been specifically designed for use on baby skin. You may, however, need to wash your child’s face more than once a day, because as any parent knows, children can be very messy at times! Sometimes it’s necessary to wash your child’s face more than once a day. Most of the time, however, you should be able to do this using plain water, although if you do have to use a cleanser, their skin will be able to withstand frequent washes as during this young age the skin continually renews itself every 21 to 28 days. When you bathe a baby, or when a child is old enough to start showering by themselves, it is strongly recommended that you pay attention to the quality of water in which your child bathes in. Although they might not like it, your child will need to be bathed from time to time. Domestic tap water, for example, contains numerous chemicals and heavy metals, some of which, can be absorbed directly into the skin or breathed into the lungs. Of particular concern is chlorine, which is found in virtually all water supplies. Chlorine can result in drying of the skin, skin irritation and may increase one’s risk of developing cancer. Interestingly, you absorb more chlorine by showering than you do through drinking water. Fortunately, the use of a shower filter can quite effectively remove harmful heavy metals and chemicals from the water, thereby preventing them from affecting the skin and the internal organs of the body. 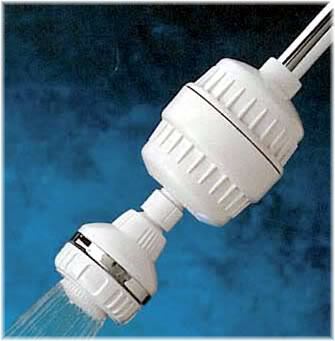 A shower filter can be used to reduce the amount of chlorine in the water. In general, there are two main types of shower filters that you can purchase. The most common, and least expensive, is a KDF and carbon shower filter. Another popular type is a vitamin C shower filter. Each of these types of filters differ in their effectiveness at removing different types of water contaminants. So for best results, and the purest bathing water, one should be using a combination of KDF and vitamin C, purchased as two separate filters, if possible. But if you only use one filer, you will still be getting a lot of benefit compared to having no filter at all. Personally, I use a KDF shower filter. Exercise is known to be very beneficial for the skin because it helps to encourage healthy blood circulation within the body and the elimination of toxins from the body. So once your child is old enough to move around independently, encourage them to do as much physical activity as possible. 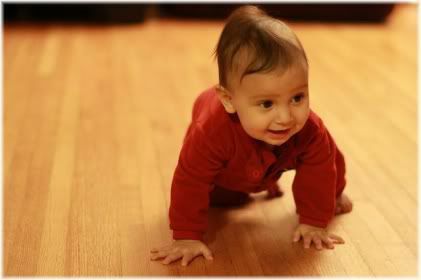 Babies and young children are normally very active, so they don’t need to do formal exercise like adults. As a side note, it is also known that the number of fat cells which a person develops during their childhood will largely determine how likely they are to put on excess weight when they are older. So one of your top priorities should be to encourage healthy eating habits in your child by eliminating all forms of junk foods, and replacing those foods with foods that are rich in vitamins, minerals and antioxidants. Perhaps the most important role of a parent when it comes to caring for their child’s skin, is to protect it from excess sun exposure. Too much sun exposure can degrade collagen levels, cause hyperpigmentation, such as dark spots or moles, and possibly also cause skin cancer later in life. Since young children are likely to spend lots of time playing outside with their friends, or with you, it is therefore very important to ensure that you apply sunscreen with both UVA and UVB protection on a regular basis. Failure to do so will age the skin prematurely, although this photoinduced damage will not be evident until your child reaches their 20s or 30s. Children can get easily burned when playing outside, which can then result in premature aging in their 20s and 30s. One should also pay attention to the type of sunscreen that is applied to a child’s skin, as there is concern that chemical sunscreens may actually increase one’s risk of developing skin cancer. As a result, a safer option would be to use a barrier sunscreen or sunblock such as a zinc, but not a titanium, based formulation. Furthermore, if your child’s diet contains healthy fats, such as coconut oil, and consumes an antioxidant rich diet, especially green tea polyphenols and vitamin E, their skin will naturally be more resistant to sun induced damage. Use sunscreen and clothing to protect your child from the sun. However, do not go to extremes by trying to avoid sun exposure entirely, as some amount of sun is necessary for the production of vitamin D, a vitamin, or hormone like compound, that serves many beneficial roles within the body, one of which, is slowing down the rate of cellular aging. For babies and young child, 10-15 minutes unprotected sun exposure outside the mid-day and early afternoon hours should be sufficient. • Develop good habits in your child now and it will benefit them later on in life. • Use products containing few or natural ingredients. • Don’t let your child bathe in toxic tap water. Use a shower filter. • An overweight child will greatly increase their risk of becoming obese as an adult. • Wearing the wrong type of sunscreen could do your child more harm than good. 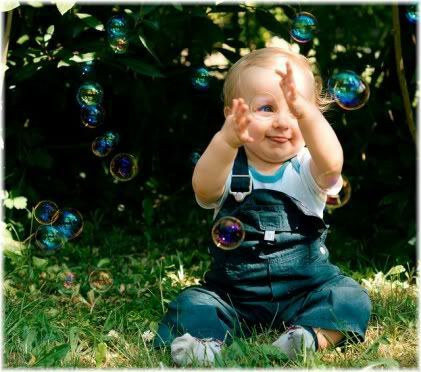 • Don’t deprive your child of vitamin D as it helps to slow down internal aging. During the teenage years of life, the skin begins to change from how it used to be during childhood due to increased hormone production as the teenager enters puberty. The type of skin that develops after puberty will give a good indication as to the type of skin that person is likely to have throughout the rest of their life. Changing hormone levels result in changing skin. One of the most noticeable changes that occurs in teenage skin, is the increased production of oil, or sebum, on the surface of the skin. This can result in frequent breakouts of spots and pimples on the face, and in some cases, may develop into acne. Some find that the use of peppermint tea, taken both internally and applied externally, to be beneficial for reducing excess sebum secretion. Some teenagers may suffer from acne as a result of overly oily skin. At this stage of life the skin faces many challenges and threats, and how successfully you are able to deal with these will have a big influence on the condition and health of your skin in your 30s and 40s. It is also important to remember, that, as a teenager, looking after your skin and maintaining or developing good skincare habits is now your responsibility. So if you want to keep your young and attractive skin looking that way for as long as possible, then you are going to have to work hard to keep it that way. 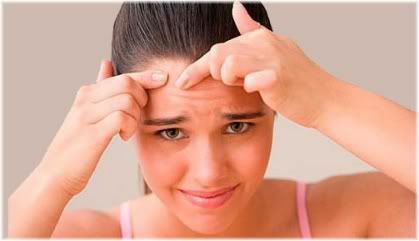 Perhaps the biggest challenge that teenagers face with their maturing skin, is in dealing with spots, zits and pimples. Teens are naturally very self-conscious at this stage of life, and because breakouts can appear unsightly at times, teens have a tendency to want to pop or squeeze their spots so that they can get rid of them as quickly as possible. Squeezing your spots can leave them looking red and cause more spots to appear elsewhere. The trouble with doing this, however, is that squeezing a spot can result in more spots appearing elsewhere on the face, thereby turning one spot into many. Squeezing spots can also result in inflammation of the skin, which then causes a spot to appear red and much more noticeable. But the biggest concern when it comes to squeezing spots is the possible risk of scarring, and this is even more of a concern when it comes to squeezing acne outbreaks. Scarring, as you know, is permanent, so once you have scarred your face you will have to live with that scar for the rest of your life. Squeezing spots can leave unsightly scars, especially in people who have acne. If you must squeeze a spot, wait until it looks ready to come out and gently squeeze the skin on either side of the spot using the skin of your fingers. Avoid using your nails, as this can damage the skin and increase the risk of a scar developing. You will know when you have squeezed a spot at the right time because it will come out easily and the end will have a root to it. It is also worth bearing in mind that when you touch or rub your face, you transfer germs from your hands to your face which will then increase the amount of spots that develop. So it’s best to minimize face touching, especially around the mouth and chin areas, and only do so with clean hands or with a cloth or tissue. As a teenager’s skin matures, it will develop into a certain type of skin, a “skin type”, that will determine the type of characteristics it has. Your skin may categorized as being normal, sensitive, acne, oily, dry or combination, and the type of skin care products that you use should be matched to your skin type as closely as possible. You are likely to get the best results by using products that are designed for your skin type. This is important because using the wrong skin care or beauty product on your face may cause it to react badly, and in some cases, may even accelerate the facial aging process. For example, using the wrong type of product on oily skin can cause it to become overly oily and more susceptible to breakouts. Using the wrong product on dry skin can cause it to become overly dry and more susceptible to fine lines and wrinkles. And using the wrong product on sensitive skin can result in it becoming irritated and inflamed thereby making it age faster. At a minimum, you should be using an appropriate cleanser, probably an anti-bacterial one, and moisturizer for your skin type twice a day. The use of a toner is optional, so only use one if you feel that you are getting good results from doing so. Teenage skin will renew itself every 21 to 28 days, so you can help to reduce the amount of breakouts that you get by exfoliating your skin one to three times a week. How often you exfoliate largely depends on your skin type, although, in general, the oiler your skin is the more often you can exfoliate it. Exfoliating the skin removes dead skin cells which helps to keep it looking clean and fresh. If you have acne, the use of salicylic acid exfoliants are recommended because they have anti-bacterial properties that go inside the pores to help control acne bacteria growth. Be careful though, as if you have acne outbreaks, using a harsh exfoliant, such as a nut shell based exfoliant, can tear open pimples and cause permanent scarring on your face. One important thing to remember about exfoliating your skin, is not to exfoliate too often. Doing so can result in inflammation of the skin, which could then lead to more breakouts and cause your skin to age faster. You will know if you are exfoliating too often, or using the wrong type of exfoliant, because your skin will appear noticeably red after you have finished exfoliating it. Change your exfoliant if your skin looks red after exfoliating it. Just as you should not exfoliate too often, so should you not cleanse, tone or moisturize too often. These should be done twice a day, and no more. If your skin gets very dry however, you may need to moisturize it as needed. Now is the time when girls, and sometimes boys, start wearing makeup. Whenever you apply make up, you should never allow yourself to get into the habit of going to bed with makeup still on or with an unwashed face. 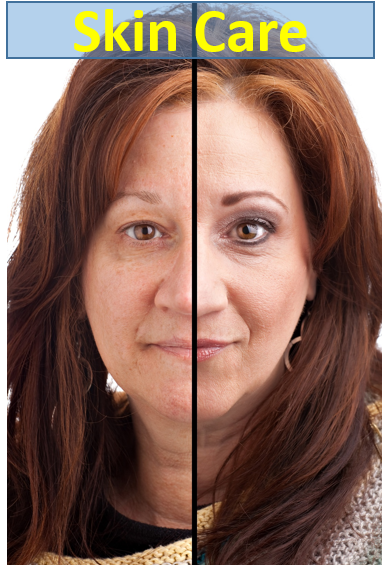 Makeup can prematurely age the face if left on overnight. There are also concerns that chemicals in makeup can do the same thing. Nighttime is when the skin renews and cleanses itself, so if your face is dirty during this period, then your skin won’t be able to cleanse itself properly and eliminate waste products and toxins. This can result in dull and lifeless looking skin, breakouts of spots and pimples and inflammation that can accelerate the facial aging process. 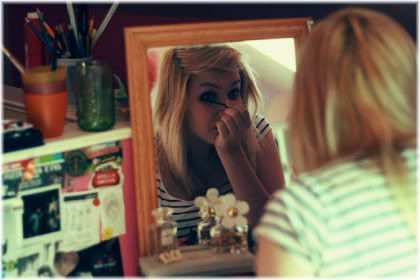 If you tend to wear a lot of makeup, the use of a makeup remover is recommended. Otherwise, using a cleanser, followed by a toner, should be sufficient to ensure that your skin is kept clean. Having tanned skin can really help to give your face and body a youthful, glowing and attractive looking appearance. Unfortunately, however, this comes at a price, as the UV rays of the sun are one of the biggest causes of premature skin aging. Protect your skin from premature aging by staying in the shade during the hottest periods of the day. Overexposure to the sun, or using sun beds, can cause your skin to sag, develop wrinkles and create pigmentation problems later on. Even though you won’t notice these as a teenager, by the time you hit 30, the effects of the sun will really start to show on your face. As a result, all teenagers should include sun screen as part of their everyday skin care routine*, and avoid spending long periods outdoors during the middle of the day when the rays of the sun are at their strongest. If you do want a tan, it is far better to use a fake tanning moisturizer or bronzer as this will allow you to maintain a healthy glow throughout the year without damaging your skin. * Please see the section on child and baby sunscreen usage above for a warning regarding the type of sunscreen you should use. The amount of oil that your skin produces is affected by the type of foods you eat. 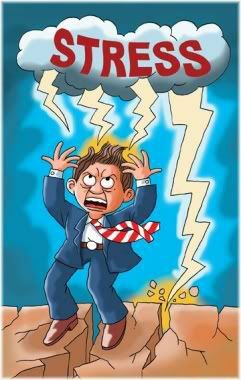 This is due to the effect that different foods have on hormone levels. So if you eat lots of junk food, sugar and simple carbohydrates, for example, then not only will you put on weight very quickly, but your skin will become more oily and spotty as a result. Eating too much junk food can leave you looking fat and spotty in your 20s. As the skin is one of the ways that the body detoxifies itself, the more toxins you have in your body from eating poor quality foods, the unhealthier your skin will look. Junk food also causes inflammation, which can make your skin age faster and aggravate existing skin problems such as acne or rosacea thereby making them look worse. So try to eat a healthy diet that contains plenty of meat and complex carbohydrates (e.g. 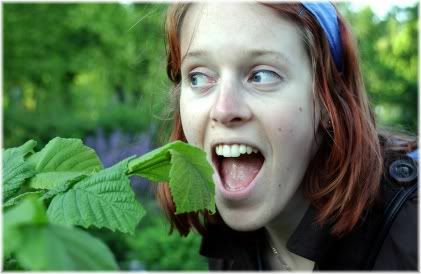 green vegetables), avoiding all sources of sugar, and sugar substitutes such as aspartame, as much as possible. You may also want to consider adding coconut oil to your diet. This is something that has become quite popular recently due to Miranda Kerr, a Victoria’s Secret model, revealing that she uses it daily. Do not go on a low-fat diet, as that will age your skin faster. • Changing hormone levels can make skin very unstable at this age. 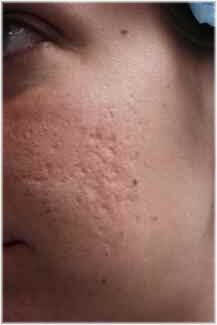 • Squeezing spots can cause them to spread, look worse and may result in permanent facial scarring. • Avoid touching the face throughout the day with your hands. • Find out what your skin type is and use the right product for it. • Exfoliate weekly, but use the right type of exfoliant and don’t exfoliate too often. • Don’t fall asleep with makeup on as it will age your face. • Use fake tan instead of using a sunbed. • Avoid eating inflammation causing junk foods. By the time you reach the end of your teens, your hormones will start to become balanced and your skin will settle down becoming much less volatile than how it used to be. One major exception to this is pregnancy, as this can cause facial skin to start to breakout again, sometimes resulting in adult onset acne. By the time you reach your 20s your hormones settle down and so does your skin. Skin in your 20s can be kept looking great with minimal care, and in its ideal condition, should be moist, glowing and without any fine lines, wrinkles or sagging. You may notice some wrinkles around your eyes, mouth and on your forehead, but these are not considered to be true wrinkles but rather expression lines. The type of expression lines you have will largely be dependent upon your most dominant facial expressions. For example, people who raise their eyebrows a lot may have lines on their forehead, people who frown a lot may have a line between their eyebrows above the bridge of their nose and people who laugh a lot may have lines around their mouth and in the corners of the eyes. During your 20s you may start to notice lines on the face that weren’t previously there. Most of these lines, however, are not wrinkles. If you do find fine lines on your face, thereby signalling premature aging, then it is likely due to your diet and a lack of care for your skin. In such cases, you may need to follow some of the advice given in the next section which is designed for people in their 30s. Once you hit your mid 20s, oil production starts to slow down and so people with acne should start to see a gradual reduction in their symptoms as should those who naturally have oily skin. 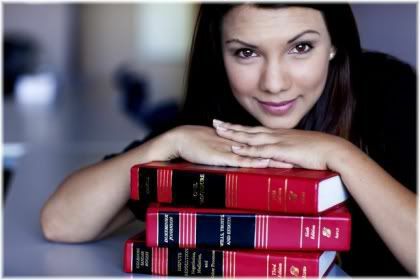 At this young age, you should still be able to get good results by using commercially available products. So your basic routine should involve the use of a cleanser, with anti-bacterial action if necessary, a toner, if you find it to be beneficial, and a moisturizer. Wash your face twice a day being sure to cleanse and moisturize each time. When it comes to choosing a moisturizer, you may want to get an anti-aging based moisturizer that contains ingredients such as vitamin C or vitamin E and possibly consider the use of a night cream. This is not a necessity, but it may help your skin to reach your 30s in a better condition if you start thinking about anti-aging measures now. Personally, I prefer to use emu oil or coconut oil as a moisturizer. Choose a moisturizer that leaves your skin feeling hydrated but not overly oily. Since the rate of skin renewal slows down in your late 20s, it becomes more important to exfoliate your face in order to remove dead skin cells and prevent them from building up on the surface of your skin. You can exfoliate your face with an alpha-hydroxy acid (AHA) or beta-hydroxy (BHA) acid exfoliant once a month, and use a facial scrub once or twice a week depending on your skin type. The same advice that was given for babies, children and teenagers earlier on still applies. You want some amount of sunlight exposure for vitamin D production, but you want to avoid spending too long outdoors without covering up or wearing sunscreen. Don’t be afraid to get some sun, but make sure that you protect yourself properly when you do. In your 20s you are likely to spend a lot of time outside, so if you are sunning yourself with the intention of getting a tan, then be warned that the effects of that sun exposure aren’t going to show until you reach your 30s or 40s. So rather than damaging your skin now for a very short-term gain, choose the safer option by using a fake tan instead. When you are older, you will be very glad you did! Getting regular exercise in your 20s is very important because doing so benefits blood circulation around the body, and the better your blood is able to flow, the better of a complexion you will have and the more alive your face will look. Exercise can help to improve energy levels and give you a more radiant looking complexion. 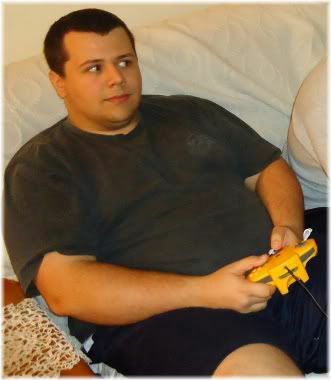 During your mid to late 20s, you may notice that you are starting to put on weight. In males, this usually occurs around the abdomen first, and in females, around the buttocks and thighs first. This excess weight gain is a sign of insulin resistance caused by a poor diet, which, if left unchecked, could ultimately progress to obesity and diabetes. Gaining additional weight as you age can also be very detrimental to the skin, as it can result in the skin stretching and losing its elasticity. Being obese can stretch the skin and make it harder for you to lose weight as an adult. Furthermore, if you do become very overweight when you reach your 30s or 40s, and then lose that weight, you are likely to be left with noticeably sagging skin that may require plastic surgery to correct. So do yourself a favor by keeping your weight under control now, as it’s going to be a lot harder to do so when you get older. Weight loss can be maximized by doing a combination of aerobic and anaerobic exercises on alternate days for both men and women. Aerobic exercises include things such as walking, running and swimming. However, be careful using running or jogging as a regular form of exercise, because such activities tend to be very hard on the lower body which may then result in joint problems later in life. Running is an excellent way to keep fit, but unfortunately, it can also cause joint problems and sagging breasts when you’re older. Swimming is a good form of exercise, but if you swim in a chlorinated pool, the chlorine in the water isn’t going to be very helpful for your skin, hair or health in general. The same applies to the water you shower in, so the use of a shower filter is recommended as was discussed previously in this article in the section on baby and child bathing. If you didn’t pay very much attention to your diet as a teenager, then now is the time to do so as the eating habits you have in your 20s will probably stick with you for the rest of your life. The best diet is one that minimizes inflammation in the body, and so this usually means avoiding sugar and white flour based products. Such foods, also known as simple carbohydrate foods, also tend to accelerate the aging process as well as cause you to put on weight. 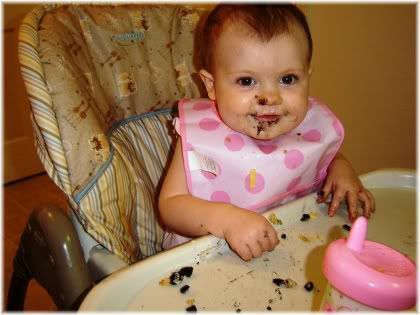 It’s important to develop good eating habits when you’re young because those habits are likely to continue later on in life. Ideally, you should be eating a complex carbohydrate based diet, such as one that contains green vegetables, with plenty of meat as a source of protein. Try to avoid vegetarian or vegan diets if possible, as they tend to result in premature aging of the skin. If you are a vegan or vegetarian, at least take brewers yeast on a daily basis to ensure that you are getting enough high quality protein in your diet. When you hit your 20s, it’s a good time to start thinking about taking vitamin supplements if you have not been taking them already. In particular, you want to be taking a natural form of vitamin E with mixed tocopherols, vitamin C, zinc, vitamin A in the form of cod liver oil, omega 3 (ideally as Vectomega), selenium and a vitamin B complex in the form of brewers yeast. Choose vitamin supplements that contain as few added ingredients as possible. 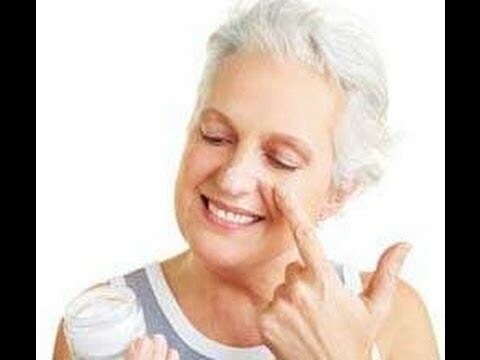 If you want to give your skin the best chance of holding on to its youthful looking appearance, then you may also want to consider supplementing with lysine, proline, soy isoflavones, hyaluronic acid and curcumin. If you are a smoker or drink alcohol regularly, consider cutting down or stopping as both of these can have a detrimental effect on the health of your skin and lead to premature aging. • The skin begins to settle down in this age group. • Expression lines are normal and are not wrinkles. • Taking anti-aging measures now will benefit your skin when you turn 30. • Sebum secretion starts to slow down. • Exfoliation becomes more important as skin cell turnover starts to slow down. • Weight gain begins to occur in this age group which can lead to stretching and sagging of the skin later in life. • Running or jogging can cause joint problems in your 30s, 40s or 50s. • The chlorine found in swimming pools isn’t good for you. 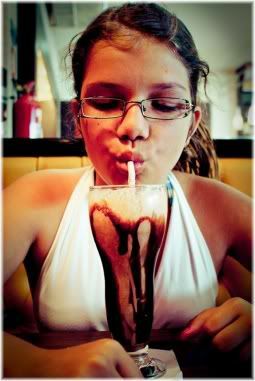 • Sugar makes you fat and accelerates aging. • Following a vegetarian or vegan diet will make you age faster. • Consider the use of nutritional vitamin supplements. Whilst you may not have the skin of a 20-year-old, skin in your 30s can still look young, healthy and attractive without any lines or wrinkles on your face. But this really depends on how well you have treated your skin so far. Your skin in your 30s is a direct reflection of how you treated it in your 20s. If you got a lot of unprotected sun exposure in your 20s for example, then you may already start to notice fine wrinkles appearing around your eyes. If you were also a smoker, then you may have additional wrinkles around your mouth and on your lips with noticeable sagging of the cheeks and jowls. But overall, providing that you have looked after your skin well, it should still be in very good condition as you will have plenty of elastin and collagen to keep your skin tight, firm and youthful looking in appearance. There will come a time in your 30s when your skin starts to noticeably change from how it used to be. This is roughly the time when your metabolism starts to slow down and your muscle mass begins to decline. During this period, the rate at which your skin cells turn over also slows down. 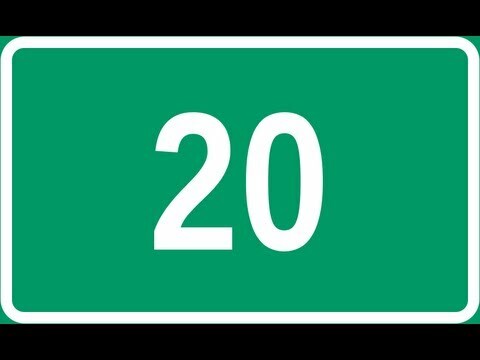 Whereas in your 20s your skin would take around 21-28 days to renew itself, in your 30s, it can take up to 40 days. During the mid to late 30s noticeable signs of aging can start to show. As a result of all these changes, your skin may start to show fine wrinkles in your mid to late 30’s and earlier if you were exposed to a lot of unprotected sun when you were younger. Your skin may also start to sag slightly as collagen and elastin levels begin to decline. If you are a vegetarian or vegan, your skin may start to sag even sooner. Despite the changes which your skin is going through, it is important to remember that you are still young and that you have good skin which can look young and healthy if you care for it well. Care for your skin and it will continue to look good well into your 40s. At a minimum, your basic skin care routine should include cleansing, toning and moisturizing twice a day, although because of your advancing age, your main focus should be on using products that offer anti-aging benefits. One of the best things that you can do in this regard is to use a topical vitamin C serum, as this will help to restore collagen levels and slow down the rate at which wrinkles and sagging naturally occur. Furthermore, topically applied vitamin C can also be very beneficial for reversing sun induced damage, which is great news if you spent a lot of time in the sun when you were younger. However, you need to be very careful about what type of product you use when it comes to vitamin C. The reason for this is that vitamin C tends to be quite unstable when exposed to air or sunlight, and as a result, can become oxidized which then increases free radical damage if applied to the skin. The orange on the left contains oxidized vitamin C, whereas the orange on the right does not. Which would you rather apply to your face? So if you buy a vitamin C cream, only buy creams or lotions that are white in color and are not tinted. When vitamin C becomes oxidized it turns a yellowish color, so if your face cream is already yellow in color, then you will have no way of determining the condition of the vitamin C that it contains. The best option when it comes to vitamin C, is to purchase it in a serum form. This will be an oil based mixture, so if the vitamin C has become oxidized, you will quickly be able to see it. Generally, you will find that the cheaper vitamin C products contain ascorbic acid as their main ingredient, which, unfortunately, is also the form of vitamin C that is most easily oxidized. More expensive formulations, such as Medik C Tetra or Medik CE Tetra, contain a more stable form of vitamin C called Tetrahexyldecyl Ascorbate. If you have the money for it, that is the only type of vitamin C that you should be applying to your face. Medik8 CE-Tetra contains a very stable form of vitamin C.
Combined with the anti-aging ingredients which you use, your 30s is also a good age to consider doing facial exercises. These can be done to target specific regions of the face such as the forehead, eyes, cheeks, jowls, mouth, lips and neck area to firm and tighten sagging skin. Alternatively, you may want to consider purchasing a facial flex face exerciser or electric face exerciser if you would prefer not to do face exercises with your hands. Since your skin is now turning over at a slower rate, it’s going to benefit from regular exfoliation to remove the buildup of dead skin cells from the surface. For skin in your 30’s, glycolic acid exfoliation products are recommended, ideally at least once a week, and up to two to three times a week based on your skin type and need. Due to the slower turnover rate of skin cells in your 30s, you can keep your skin looking at its best by regularly exfoliating it. Glycolic acid is particularly advantageous to use as a skin care product, because it has been shown to help the skin rebuild collagen thereby reducing the appearance of fine wrinkles and delaying the appearance of future wrinkles. In addition to this, you may also want to consider getting a chemical peel or having microdermabrasion done, as both of these can also be beneficial if you are starting to notice fine lines on your face. An alternative option is to purchase a dermaroller. This is a type of skin roller which contains very fine needles that puncture the upper layers of the epidermis, and by doing so, help to stimulate the production of collagen and elastin. Just like with the previous age groups, exercise is very important for promoting healthy skin because it supplies it with oxygenated blood that nourishes the skin whilst also helping to remove toxins by stimulating the lymphatic system. Staying active can keep you trim and assist the body’s natural detoxification mechanisms. A popular form of exercise is running or jogging, however, we do not recommend this as a form of exercise due to the harmful effects it could potentially have on the joints of your knees and ankles. In addition, regular running may also result in what is known as a “runner’s jaw”, which occurs when the skin of your face starts sagging due to the lifting and falling of your facial skin as you run. Running may also increase the risk of a woman’s breasts sagging. 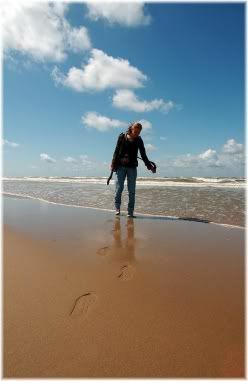 Instead, walking for 20-30 minutes each day combined with weight-bearing exercises on alternate days is what we do recommend. This will keep your body fit and healthy, maximize weight loss and won’t cause you problems later on in life. Getting plenty of sleep is another thing that you should be aiming for. In your 20s, you may have been able to stay up late and still look good the next morning, but if you do this in your 30s, then your face is likely to become swollen and develop bags or dark circles underneath your eyes. You may have been able to get away with late nights and partying in your 20s, but if you keep this up in your 30s, it will soon take its toll on your looks. These effects can be made worse by drinking alcohol or smoking cigarettes. You may not have noticed any adverse effects from either of these when you were younger, but if you continue smoking or drinking alcohol in excess in your 30s, then you are definitely going to notice the damage they are doing to your body and to your looks! Stress is another thing to watch out for because it causes inflammation in the body which then leads to wrinkles, sagging skin and premature aging. Stress can prematurely age the body and increase your risk of disease. If you do find yourself in a high stress profession, then take some time out each day to relax from the stresses of your life. Meditation can be very good in this regard, as can be biofeedback mechanisms which train you how to properly relax your body. Excess weight around the abdomen, buttocks or thighs is a sign of insulin resistance. This indicates that you have been eating too much food, but in particular, have been eating too much sugar and white flour based products. These foods also cause inflammation in the body, which itself can accelerate the aging process and promote the onset of disease. So if you are overweight, you should be taking steps to improve your diet now, because the next age bracket, 40-50, is when the effects of this excess weight will start to show on your health and possibly lead to disorders such as heart disease and diabetes. The health effects of eating a poor diet in your 30s can show up as chronic health problems in your 40s. To minimize inflammation, and maximize weight loss, eat a low carbohydrate based diet and take supplements such as curcumin (turmeric) which are known to reduce inflammation. If you still smoke, try to stop, and the same applies to if you drink alcohol to excess. These simple recommendations will also be of benefit if you develop adult onset acne or rosacea, as both of these disorders are made worse by internal inflammation. In your 30s it’s still not too late to quit your bad habits and hold onto your looks. As was discussed earlier in the section on diet for people in their 20s, you should also be giving serious consideration to taking nutritional supplements. The basics include vitamin C, vitamin E, vitamin B complex, vitamin A, magnesium and zinc. However, to really benefit your skin, take 200 mg of hyaluronic acid per day for one or two months, followed by 100 mg per day thereafter. It is expensive, but the anti-aging effects it has on your skin really does make it a worthwhile supplement to take. • Turnover rate of skin cells begins to slow down from 21-28 days to up to 40 days. • Fine lines and wrinkles may appear in your mid to late 30s. • Focus on anti-aging products. 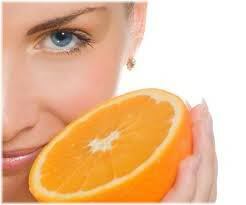 • Use a topical vitamin C serum to greatly slow down the visible signs of aging. • Consider doing face exercises. • Exfoliate with glycolic acid to rebuild lost collagen. • If you notice fine lines or wrinkles on your face, consider chemical peels, microdermabrasion or using a derma-roller. • Regular running may result in premature facial sagging. • Do aerobic and anaerobic exercise to maximize your weight loss. • Staying up late partying will start to show on your face. • Smoking and alcohol start to show visible signs of aging in this age bracket. • Stress will visibly age you, so do something to relax yourself. 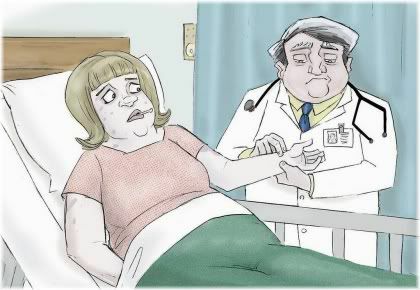 • Excess weight gain is a sign of insulin resistance. • Consider the use of vitamin supplements. • If you can afford it, take hyaluronic acid supplements. Within the past 10 years skin care for the over 40 age group has improved tremendously, so much so that it is now possible to maintain a healthy and glowing complexion well throughout your 40s. This is largely due to the development of various cosmeceuticals (i.e. 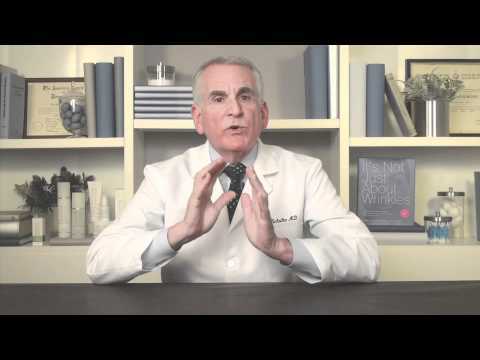 skin care products with drug like effects) and inexpensive medical skin procedures (e.g. 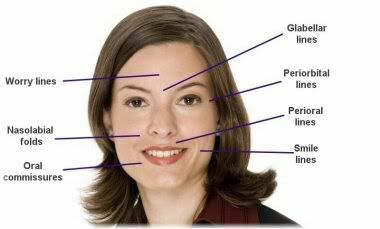 Botox) that are widely available to all at an affordable price. With the right care, products and treatments, you can still look fabulous well into your 40s. As a result of these advancements, turning 40 doesn’t mean that you have to look old, because as long as you are willing to make an effort, you can still have fantastic looking skin. Healthy skin in your 40s has minimal sun damage with few wrinkles and expression lines. In people with an oily or acne skin type, their skin should still be very moist and relatively wrinkle feel. Those with dry or sensitive skins, however, are likely to have skin that is less moist and with more wrinkles. As a result, an oil based moisturizer should be used to keep the skin hydrated and reduce the risk of developing new wrinkles. People with an oily skin type tend to show less visible signs of aging than those with a dry skin type. Men may have additional skin care concerns as they enter their 40s, as a receding hairline will expose new areas of skin that were inaccessible before. These should be treated just like any other part of the face, by washing, moisturizing and exfoliating bald or balding areas. For women in their mid to late 40s, skin oil production will start to decline as they enter the start of perimenopause. 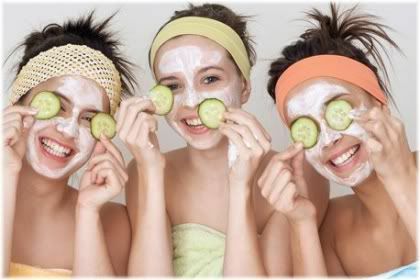 This can leave their skin looking drier and thinner, which then increases the risk of fine line and wrinkle formation. If you notice any of these changes, do your best to keep your skin moisturized throughout the day especially in cold or windy weather. The 40s is also the point in your life when serious health conditions such as diabetes, high blood pressure or autoimmune disorders can start to affect the health of your body and your skin. The effects of poor dietary and lifestyle habits in your 20s and 30s can start to show in your 40s. 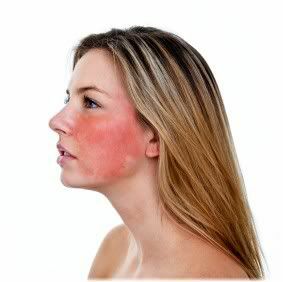 This can cause your skin to become more sensitive and inflamed giving it a reddish or flushed appearance that resembles rosacea. Excessive drying of the skin may also make symptoms of psoriasis more noticeable. 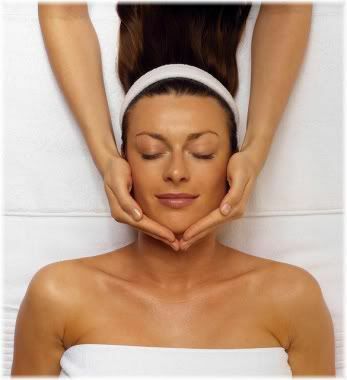 Skin care in your 40s should consist of your basic skin care ritual that involves cleansing, toning and moisturizing. However, you might find that as your skin becomes drier and more sensitive, you may need to switch skincare products to something more suitable to your current skin condition. Using the same products as you used in your 30s may cause adverse reactions in the skin making it appear worse. So once you do turn 40, pay attention to how you react to what you put on your face. Things to look out for include redness, itchy skin, dry or patchy skin and spots. 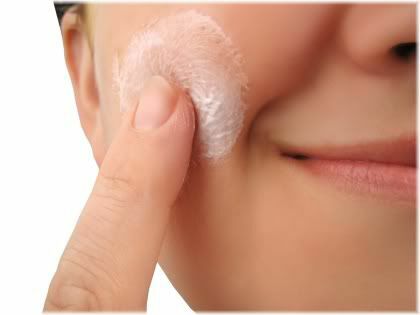 Enzyme based exfoliants can be very beneficial for mature skin. Exfoliation should be done two to three times a week with alpha hydroxyl acids, scrubs or enzymes. Enzymes are recommended for mature skin because they help to break down a lot of dead skin cells and waste products, giving the skin a fresh looking and rejuvenated appearance. If you want to make your own exfoliating enzyme face mask, try using a combination of honey and papaya. Before (left) and after (right) chemical peel treatment. Chemical peels can be done once a month to help speed up the rate at which skin cells turnover, or every few months or yearly depending on the strength of the peel. This can be beneficial for treating pigmentation problems, fine lines and wrinkles. Some of the different peels that you can ask your dermatologist or beautician about are: Alpha hydroxy acid peels (Citric acid, Glycolic acid, Lactic acid, Malic acid, Tartaric acid), Beta hydroxy acid peels (Salicylic acid), Jessner’s peel, Retinoic acid peel, Trichloroacetic acid (TCA) peels and Phenol peels. Topically applied vitamin C has been clinically proven to decrease the signs of visible facial aging. Cosmeceuticals containing vitamin c, alpha lipoic acid and emu oil, can be used to help reverse the signs of aging by increasing collagen and elastin production. In particular, vitamin C, in the form of Tetrahexyldecyl Ascorbate at a concentration of 7%, is recommended for 40s skin if you wish to reverse sun damage or slow down the rate at which the skin sags or develops new wrinkles. Retin A can be useful for treating fine lines, but it also increases the skin’s sensitivity to sunlight. Retin-A, a derivative of vitamin A, can also be very beneficial for rebuilding collagen and removing fine lines and wrinkles from the face. However, the disadvantage in using Retin-A is that it tends to increase the skin’s sensitivity to UV light, which, in the long run, can actually cause it to age faster. So if you do use Retin-A based treatments, always make sure to protect yourself by using sunscreen. 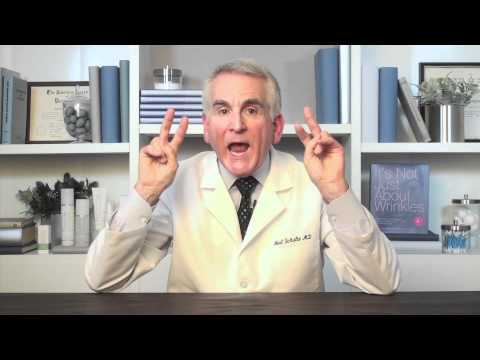 Another ingredient that has been gaining in popularity for mature skin is hyaluronic acid. There are now many formulations containing hyaluronic acid, but unfortunately, most of these are completely ineffective because the hyaluronic acid molecule is too large to pass through and be absorbed into the deep layers of the skin where it could have a beneficial effect. Although hyaluronic acid creams are largely a waste of money, hyaluronic acid supplements can be of great benefit for maturing skin. The same applies to anti-aging creams containing collagen, as that is also too large to pass through the skin and so does virtually nothing for you in terms of offering anti-aging or beauty enhancing benefits. But with that said, hyaluronic acid is still very effective when taken internally and so you can follow the advice given previously for those in their 30s. 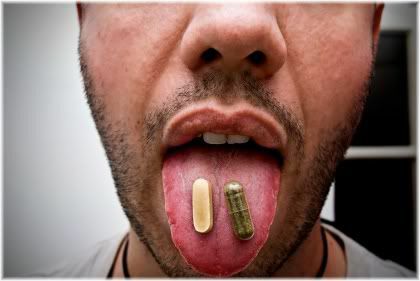 Start with 200 mg per day for one or two months, and then take 100 mg per day thereafter. 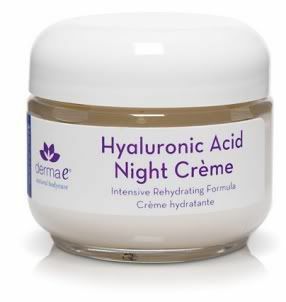 Hyaluronic acid will help to plump up your skin, and keep it looking younger for longer. It is also worth pointing out that you can purchase face creams that contain Phytessence Wakame extract, which is an extract taken from a Japanese seaweed. This extract inhibits the breakdown of hyaluronic acid in the skin, and so can have similar effects to taking hyaluronic acid internally. The Phytessence Wakame seaweed may sometimes be listed as Undaria Pinnatifida, Wakame Kelp, Japanese brown sea kelp extract, Fucodian or Fucoxanthin. If you feel that cosmeceuticals don’t give you the results that you were hoping for, then you may consider Botox or collagen injections to temporarily hide fine lines and wrinkles. Dermal fillers lift depressed areas of skin, but only provide a short-term fix. 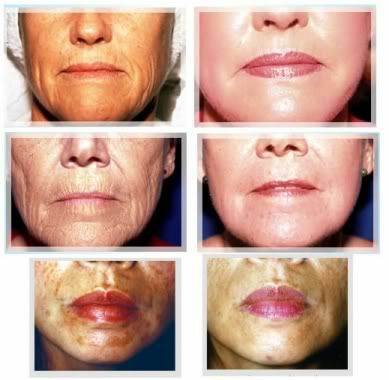 A more drastic approach is laser skin resurfacing. This can help to improve the appearance of your facial skin by destroying brown pigmentation caused by sun damage and reducing the appearance of enlarged or broken capillaries such as those found in sufferers of rosacea. Finally, there is the option of having a facelift, although this should always be done as a last resort and only if you are unhappy with your previous non-surgical efforts. • Cosmeceuticals and medical treatments can keep you looking younger for longer. • Men should care for balding areas as well as their face. • Oil production decreases further which can result in drying of the skin. • Medical disorders and diseases may start to appear in this age group. • Aging may cause your skin type to change. 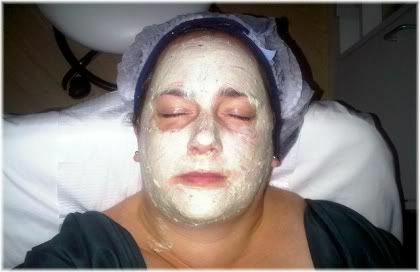 • Enzyme face masks can be beneficial for mature skin. • Try having a chemical peel done once a month. • Use a high strength topical vitamin C serum. 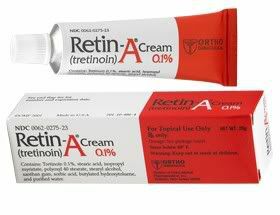 • Be careful when using Retin-A treatments, especially if you are outside in the sun often. • Hyaluronic acid applied to the skin is largely ineffective, as is topically applied collagen. • Hyaluronic acid taken internally as a supplement works well. • Inhibit hyaluronic acid breakdown with a Japanese seaweed extract. • Non-surgical or surgical cosmetic plastic surgery may be needed if you are looking for more drastic results. The condition of your skin in your 50s, largely depends on how well you have treated it in your 20s, 30s and 40s. If you have cleansed, moisturized and used sunscreen or sunblock on a regular basis, then you most likely have enough collagen left in your skin for it to remain plump and smooth. Although your skin may sag somewhat, the most obvious visible signs of aging will be your expression lines which have slowly etched themselves deeper and deeper into your face throughout each passing decade. 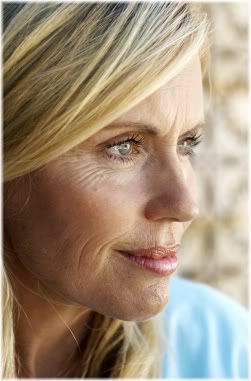 Lines and wrinkles that were present in your youth can become much more pronounced in your 50s. 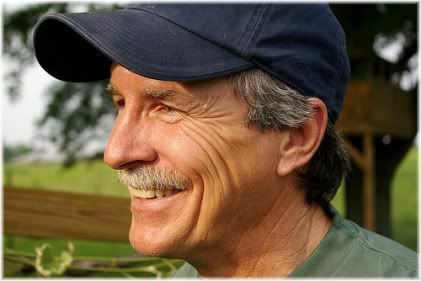 Male skin tends to be far more resistant to the signs of aging, because, unlike women, men don’t lose their reproductive capacity through menopause. Male skin is also likely to sag less because they naturally have more collagen and elastin. However, despite these natural advantages, if a man has not looked after his skin when he was younger, then he is likely to show much more of the signs of aging than a women who has looked after her skin does. Although a man’s skin contains more collagen and elastin than a woman’s skin, it can still age prematurely if not properly cared for. Apart from skin concerns, both males and females may find hair growing uncontrollably in eyebrows, ears and the nose. Women may also find hair growing in places it never used to such as above the upper lip, whilst men may find themselves losing hair in places where it used to be plentiful. A basic skin care routine of cleansing, toning and moisturizing should be adhered to. Since skin is naturally drier at this age, it is important to choose a moisturizer that adequately hydrates your skin type. The use of a thick night cream can also be very beneficial at this age. Drier skin and slower skin cell turnover make moisturizing and exfoliation especially important in your 50s. Skin in your 50s will renew itself much more slowly than it did when you were younger, so it is important that you encourage skin cell renewal by using glycolic acid peels and frequent exfoliation. Glycolic acid peels and Retin-A will also help to rejuvenate the skin by rebuilding collagen. If you spent a lot of time in the sun in your youth and now have sagging skin and brown pigmentation as a result, you can reverse some of this damage by using cosmeceuticals containing vitamin C, alpha lipoic acid and emu oil. Whilst you may be able to improve the appearance of your skin using various creams, lotions and exfoliants, the results that you get may not satisfy you entirely as mature skin tends to be less responsive to commercially available store-bought treatments. At age 50 you may need to turn to surgery in order to obtain the look that you desire. If you are looking for something a bit more drastic, then Botox injections or dermal fillers such collagen injections or restylane injections may be considered to temporarily reduce the appearance of fine lines and wrinkles. For a more permanent solution, however, you could get a surgical facelift. This will last you about 10 years depending on the type of face lift you get. As with any surgical procedure, make sure that you understand the risks involved and look carefully for a board certified plastic surgeon. Although a face lift won’t make you look like a 20-year-old, it could make you look like a 40-year-old. If you have severe sun damaged skin, then you may have to resort to laser skin resurfacing to restore your skin to its previous condition. Alternatives include microdermabrasion or a strong chemical peel such as a TCA peel or phenol peel, both of these treatments can be effective at fading fine lines, wrinkles and pigmentation marks such as brown spots and freckles. Whilst the things you do to your skin on the outside are important, healthy skin also comes from the inside. So try to avoid junk food, alcohol, caffeine, cigarettes and high carbohydrate sugary foods, as all of these things will cause inflammation and accelerate the signs of aging. As with all age groups, the type of lifestyle that you live plays a big role in determining how your skin looks. To add some vitality and color to your skin, ensure that you exercise on a regular basis, even if that exercise is just walking to your local store. Exercise will help to increase blood circulation to your skin and give it a more youthful and glowing appearance. • The most visible signs of aging will be deep expression lines. • Women show the signs of aging sooner than men. • Excess hair becomes a concern for women, and a lack of hair can become a concern for men. • Skin is drier at this age. • Regular exfoliation is necessary due to slowed skin cell renewal. • Store bought products may not produce noticeable improvements to your skin, so plastic surgery is a serious consideration at this age. • Diet and exercise are very important at this age.